Each TENMAT solution is bespoke manufactured to the exact requirements of the customer, application and infrastructure network they keep on track. We offer a full design service, and every project has tailor-made TENMAT components fit for purpose. 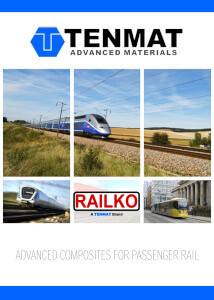 For wear applications in metros, trams and other light rail, TENMAT supplies, centre pivot liners, king pin bushes, side plates, brake bushes, pantograph bushes, and sliding door opening system channels. Examples of our design expertise is seen on Kinkisharyo Light Rail in New Jersey, Bombardier Trams in Cologne, and the Alstom-built Paris Metro.